It is now a dificult task in driving highly converting traffic to one website nowadays because of the high rate of spamming and other unethical traffic sellers. A novice can just buy traffic from any source and not knowing its not a real traffic. Also un-targeted traffic cannot bring a good conversion and most traffic nowadays are semi-targeted nowadays. 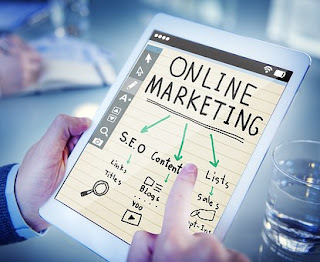 The only way to drive a good traffic is organic traffic through SEO, it is the best online marketing strategies use so far that have always work, but the truth is that organic traffic is not easy for a novice to accomplish. When you’re trying to attract more visitors to your site and standard sources of traffic are failing you and you don't want to do much paid adverts, it’s time to take your efforts to the next level. Try these four methods for increasing the volume of site traffic. Content marketing gives you dozens, if not hundreds, of creative ways to focus on the core problem your business—or a product—solves. It includes online articles, blog posts (including guest blog posts), infographics, ebooks, white papers, case studies, and audio or video productions. Content marketing is effective. In fact, it generates three times as many leads as traditional outbound marketing but costs 62 percent less. So what’s the secret to content marketing? Adding value to everything you create. If you’re not sure how you can add value through content marketing, ask your existing customers or list members what kind of content would be helpful to them. The key to content marketing success, according to Jim Yu, the CEO of content marketing firm BrightEdge, “is to present the right content to the users at the time they need it in an engaging manner, across all channels they visit.” And be sure you’re publishing frequently and consistently. If you cover one topic, publish at least once a week. If you cover two topics, publish at least twice a week. If possible, publish every day on the content categories that will attract the right audience. Influencer marketing is marketing that focuses on using key leaders to drive your brand’s message to the larger market. Rather than marketing directly to a large group of consumers, you instead inspire, hire, or pay influencers to get out the word for you. Why choose this strategy? It’s effective for over 80 percent of marketers who’ve tried it using social media influencers. And customers acquired through this channel are retained at a 37 percent higher rate than those acquired through other means. “Influence will lead marketing efforts by 2020,” says Ted Coiné of TalentCulture. “It’s the most effective form of ‘advertising’ there is, and when coupled with a solid content strategy, no TV or Facebook ad buy can even compare.” So how can you find influencers? 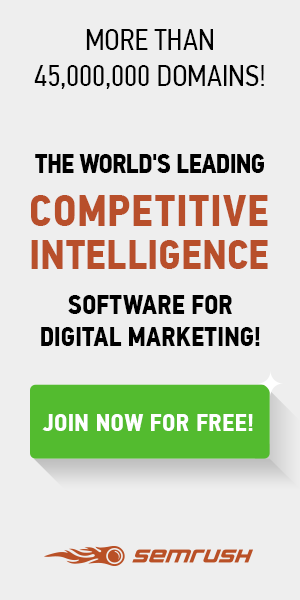 Free tools, such as followerwonk from Moz or BuzzSumo, can help. Fee-based research tools are also available, such as Kred, Klout, PeerIndex, GroupHigh, Little Bird, and Keyhole. What we’re really talking about with IP-specific advertising is geo-targeting: the method of determining the geolocation of a website visitor and delivering different content to that visitor based on his or her current location, such as country, region or state, city, or metro code or zip code; organization; IP address; internet service provider (ISP); or other criteria. Offer incentives (sales, discounts, promotions) to visitors in a specific geographic area. Target messaging to visitors based on proximity to a store, physical office location, or competitor’s location. 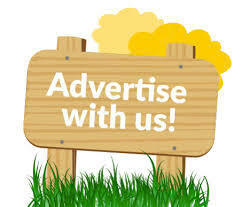 Share marketing messages that are specific to local advertising media markets. Customize the language for a specific geographical location. Quick response (QR) codes provide another way to gather contacts for your traffic-driving efforts. QR codes act like bar codes and pro­vide a smartphone or tablet user with immediate access to a given web page where the user can read the message and take the next step. You could say the QR code is your invitation to a user to begin an offline-to-online transition. Marketing with QR codes is one of the easiest mobile marketing strategies to get started with, according to Jamie Turner, co-author of Go Mobile (Wiley 2012). It does, however, require you to have a mobile website (in addition to a standard version) to direct smartphone users with a QR code. Before the QR code comes the plan: Where are you going to send users and what do you want them to do when they get there? You’ve got to know the answers to those questions before you start a QR code marketing campaign. In addition, the QR code needs to be big and clear enough that even low-quality phones can scan it. And there should be a clear indication of which types of mobile devices can use the QR code. If it’s for Android only, iPhone users will be irritated if they try to scan it and get poor results. Creatinge the QR code you’ll use is perhaps the easiest step in the process. And it won’t cost you anything because there are free QR code generators online, such as QR Stuff and Kaywa QR Code. Add a QR code to the Contact page on your website so visitors can download your contact information to their smartphones. Add a QR code to your business card so people can instantly download your contact information (or respond to a lead-generating offer). Include a QR code, or codes, as part of a webinar presentation for audience engagement. Add a QR code to your LinkedIn and Facebook pages to pull people into your website. You can also use QR codes on direct-mail pieces to help you gain useful information from your campaigns. The scans can tell you which offers are working best and which geographical areas are responding the most. This knowledge can guide you in refining your next campaign.